ollowing the destruction of their operational headquarters, Nate Ford (Academy Award winner Timothy Hutton) and his highly skilled team of con artists reunite to take down the corrupt bigwigs. 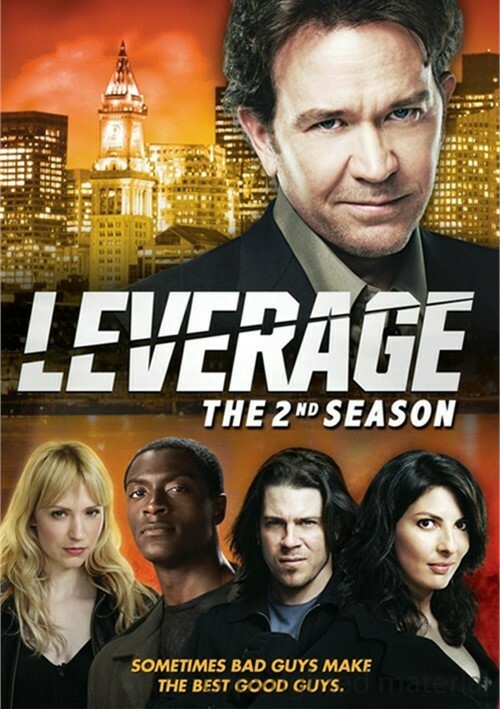 In Season Two, the Leverage team sets out to recover millions of dollars lost in a Ponzi scheme, stage a deadly virus outbreak, and go head-to-head against a rival crew of slick thieves. To fight the criminal underworld, the Leverage team knows that high-tech tricks of the trade to get the job done. Sometimes it's good to be bad. This 4-disc DVD set of Leverage: The 2nd Season includes 15 riveting episodes and is packed with cool special features.